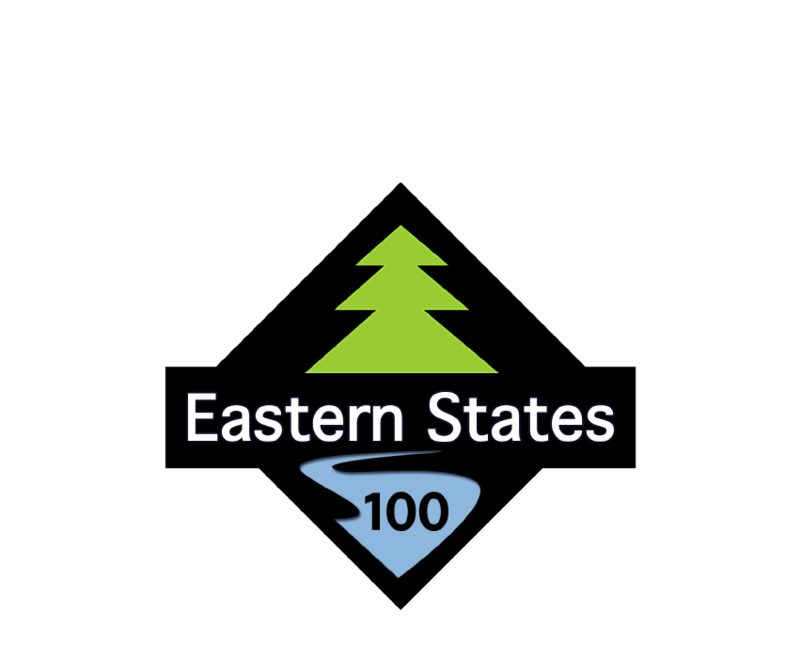 The Eastern States 100 is a 103 mile single loop trail ultramarathon on 98% single-track/double-track. 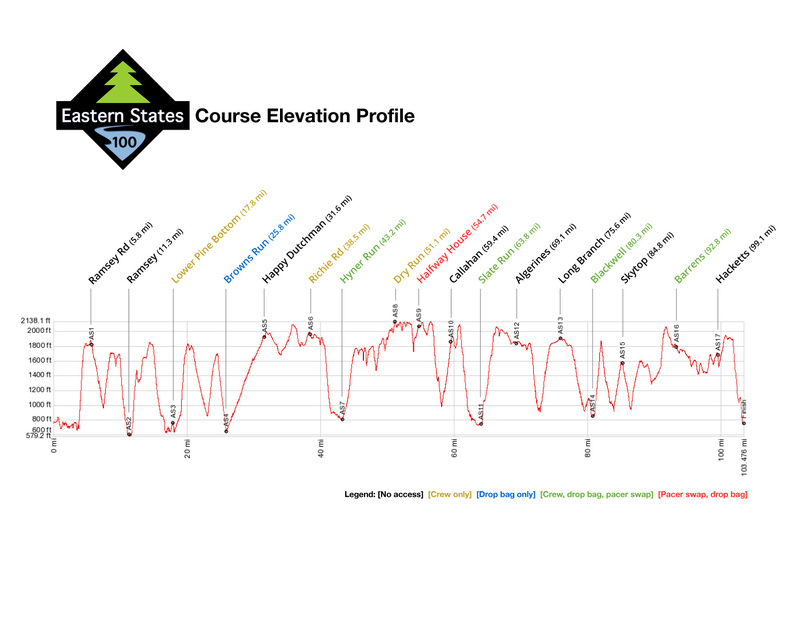 The course has an elevation gain of 20,000+ ft with a net elevation change of over 40,000+ ft. We support you with 17 aid stations and challenge you with a strict 36 hour cutoff. 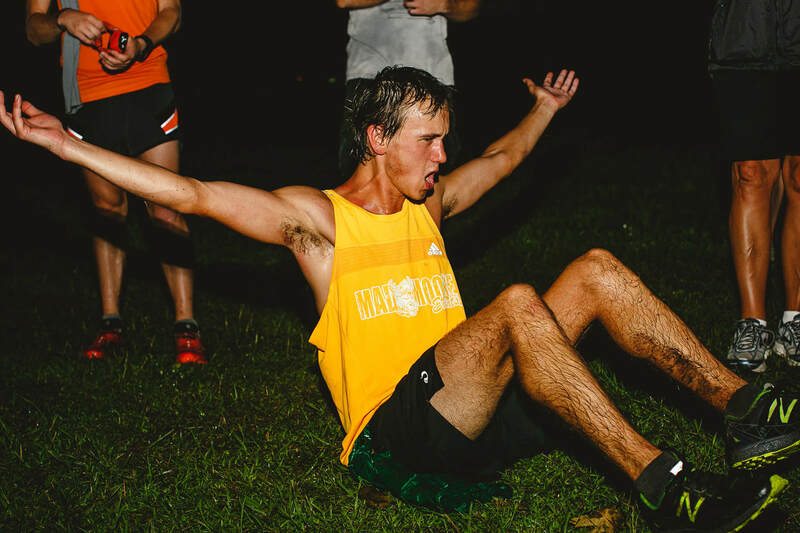 We have a reputation as one of the toughest 100 milers in the country. Honored to once again be a qualifying race for the Western States 100. Registration is first come, first served and there is a qualifying standard for the race. 2019 Registration Date: January 13, 2019. 2019 Registration Closes: July 27, 2019. The difficulty of the terrain means this is NOT an entry-level race. Each participant will be reviewed by the race directors after we receive the completed registration. 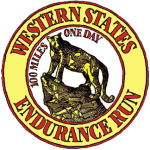 At a minimum, all participants must have completed at least one 50 mile trail race within 16 hours or any trail race longer than 50 miles within the advertised cut-off time, before signing up. This race must be within 2 years of the registration date. If you have a race that is not at least 50 miles but has a high degree of difficulty, it may be an exception to the above standard, just email us to find out if the race may qualify you. Be sure that your race is an official race with results published on a publicly available website. Timed races can not be used as a qualifying race. You must have completed a qualifying race before registering (some exceptions may apply). We will refund 50% of your entry fee (minus any processing fees) until July 27, 2019. Race registrations are not transferable to other participants or future races. Please consider these factors very carefully before registering. Please use your registration profile to request a refund. 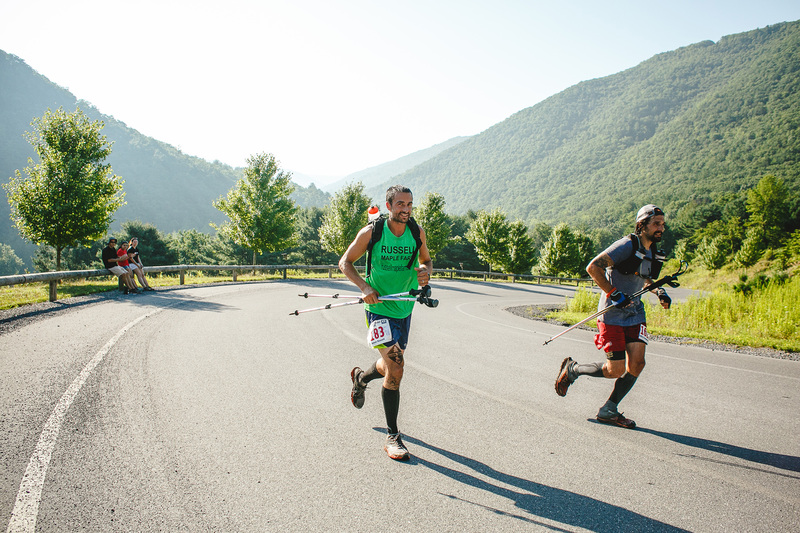 As it is in many ultramarathons, the Eastern States has its own rules and practices. Please read carefully. No course cutting – Follow the marked course at all times – it will be clearly marked with orange survey ribbon (and with reflective tape after AS9), directional arrows, and the occasional orange ground flag. If you depart the marked course, you must return to the point of departure before continuing. Cutting the switchbacks is cheating, and leaving the beaten path to avoid mud or water is just bad trail karma – please don’t. Mandatory gear – A headlamp or similar lighting is mandatory if you are running in the dark. Runners will need a headlamp at the start of the race and again on Saturday evening, make sure you’re carrying a light or have it in a drop bag or with crew. Passing other trail users – The course uses many popular hiking trails, so please be respectful of all trail users and yield as needed. Be careful, courteous, patient, and safe while passing competitors or other trail users. Communicate your intentions clearly (“Passing on your left”), and remember that it’s a long run. When nature calls – Many of the aid stations will have bathroom facilities, either a permanent structure or a port-a-john. If you have to pee, find a tree. Anything else, try to use the outhouse. 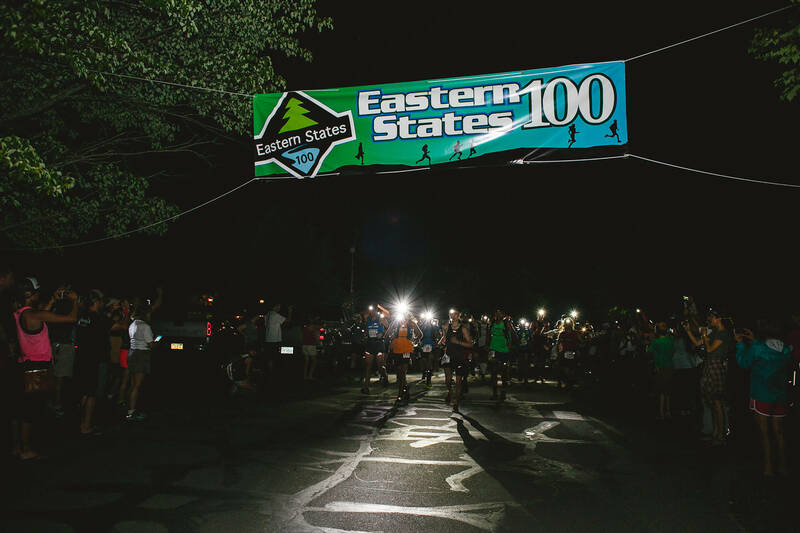 Welcome spectators, family members, crews and pacers to the Eastern States 100! We want to thank you for coming out and supporting the runners because we know how much it means to them! Please take some time to review this section as it contains some important logistic and safety information just for you. Pacer starts – Pacers may enter the course only at AS7-Hyner Run, AS9-Halfway House, AS11-Slate Run, AS14-Blackwell, and AS-16 Barrens. 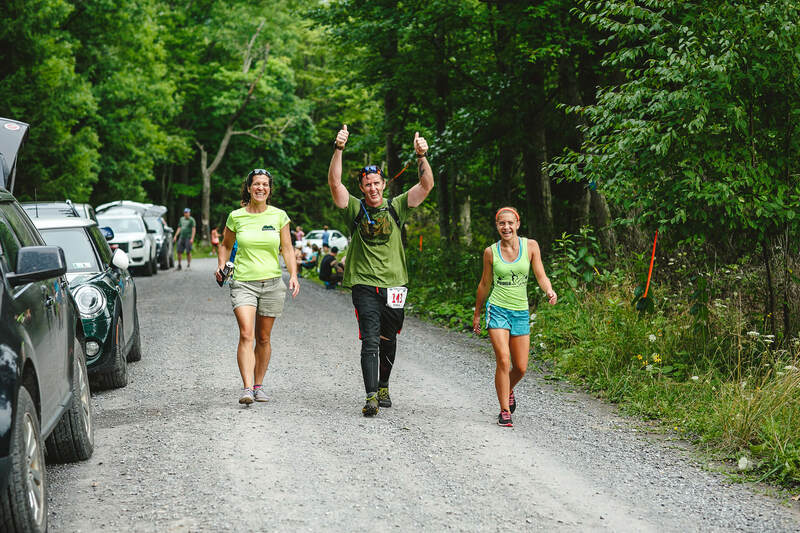 Crew support only at designated aid stations – Your crew can help you in pretty much any way, but ONLY while you are checked in at the aid station – nowhere else along the race route. Crews are NOT PERMITTED at AS1-Ramsey Rd, AS2-Ramsey, AS4-Browns Run, AS5-Happy Dutchman, AS9-Halfway House, AS10-Callahan Run, AS12-Algerines, AS13-Long Branch, AS15-Sky Top, or AS17-Hacketts. One crew vehicle per runner – Parking is limited at many of the remote aid stations, and some of the access roads are narrow and dusty. It will be nicer – and safer – for everyone if there are fewer vehicles moving about. Each runner will receive a parking pass at packet pickup for their crews to hang in their crew's vehicle. Some aid stations will only allow access to vehicles with the parking pass and runners will be responsible for their crew if they fail to obey race rules. Crews that fail to follow the above race rules will result in their runners being disqualified from the race. 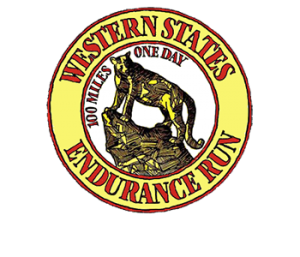 Cell coverage and internet access is extremely limited along the Eastern States 100 course and surrounding areas. Because of this, we provide hard copies of the participant guide at the race that include race rules, maps, directions and information to help navigate your way through the race. Even so, we still advise you to read through this information before race day so you are at least acquainted with the information. Crews and pacers must adhere to the information published and ultimately, the runner is responsible for all his or her crew and pacers actions on race day. Please park in the main parking lots at Little Pine State Park. Finish line food and refreshments are for registered runners only (and a pacer if you finish with one.) Crews and pacers are more than welcome to participate in the finish line celebration but please come prepared and bring your own food to the party. Below is a list of lodging options near Little Pine State Park. This is not a comprehensive list, but rather a starting point of the closest ones to the race that we know of. Please do your own research to find what place would suit your needs best. If you're a cheapskate and would rather not pay for a place to stay, we offer a limited free camping area near the start/finish line (see link below). Please do not overnight camp in the Little Pine State Park parking lots. Below is a list of food options near Little Pine State Park. This is also not a comprehensive list, but rather a starting point of the closest ones to the race. Please do your research to find what eatery will suit your needs best! Mile 1-3.8 The race begins and ends at Little Pine State Park. The first mile of the event will be along the paved Little Pine Creek Road to the campground just below the dam at Little Pine State Park. The trail then turns onto the Mid State Trail (PA's wildest footpath - 310+ miles) in the campground and continues along a gently rolling grade and then single track. The trail is narrow at times along this stretch, but was recently improved by the Mid State Trail Association. Throughout this stretch you'll cross one small stream. Don't expect to get your little piggies wet on this crossing. The stream will likely be dry. The trail then continues through a beautiful grove of eastern hemlock and white pine along Little Pine Creek until you reach Dam Run Road for the next couple of miles. If you're burning up on these easy few miles you may want to jump in the swimming hole at the bridge because you've got a steep ascent from the Dam Run! Mile 3.8-4.2 The climb toward Ramsey Road from Dam Run will slow you down a bit after the easy few miles you just completed. This is one of the steepest climbs on the course. You'll continue across Dam Run Road and up the Mid State Trail. The trail doesn't switch back much to the top. You'll be scrambling up some moss covered stones along the stream bed. Do your best to stay on your feet-the stinging nettles hurt if you have to put your hands down! The ascent gets more difficult as you progress, at least until you get to the old tram road towards the top. Mile 4.2-5.5 The tram road will continue across the mountain, and then it will cross a gravel road. The trail here was recently rerouted due to the construction of a Marcellus gas well pad. Along the tram road you'll pass a young red maple stand with a dense understory of hay-scented fern and then you'll enter oak forests with ericaceous plants such as blueberry and mountain laurel (PA's state flower) in the under story. The first aid station will be at the Ramsey Road. Mile 5.5-9.2 From Aid Station 1 you'll descend toward Ramsey Run. Continuing along the Mid State Trail you'll pass through oak forests that quickly changes into a more mesic forest of hemlock, birch, and maple. Throughout the descent you will notice a series of old trails constructed to access timber and stone quarries. Many of these trails, including portions of the Mid State Trail, utilize these century-old grades. You may notice that in some areas the trail has neatly laid stone work-remnants of the old grades. You'll know when you reach Ramsey Run when you arrive at the wooden bridge crossing a beautiful stream surrounded by rhododendrons. If you approach the large pool of water near the bridge you may catch a glimpse of a fleeting brook trout (PA's state fish). After crossing the bridge you'll begin a gradual ascent up a fork of Ramsey Run. This stretch is in a narrow valley surrounded by yellow and black birch, red and sugar maple, basswood, and ash trees. The trail surface throughout this ascent is rocky. Expect slippery conditions here and once again be mindful of the stinging nettle. There is also Virginia creeper (leaves of five) along the trail-not to be confused with poison ivy (leaves of three). Remember, Lisa Simpson once said, "leaves of three let it be." Homer Simpson said, "leaves of four eat some more" - at least Lisa was correct! Once you reach the top you'll skirt a well pad. In 2012 over 8,000 gallons of brine and nearly 90 gallons of diesel were spilled during the hydrofracturing process at this site (i.e. drink the water in the fork of Ramsey Run at your own risk)! Mile 9.2-10.5 Once you pass the well pad on your left you'll cross another well pad access road before heading towards Pine Creek. The trail crosses a pipeline and continues along the Mid State Trail. Be sure to take a minute to enjoy the vista of Kline Ridge off of the main trail. This vista along the Mid State Trail is one of the best vistas on the course! Continuing on, the trail crosses a fairly flat stretch of trail before going out on a pipeline. The trail follows the pipeline briefly before veering to the right and back into the woods. The course then continues through a small drainage and back up to a portion of flat trail through oak forest, mountain laurel, blueberry, and huckleberry. The trail then descends one of the most beautiful sections of the Mid State Trail. You'll traverse rock outcrops and pass through oak-hickory forests with an open understory. Keep your eyes open for wildlife. Black bears are often spotted in this area. The trail proceeds past a rocky drainage where you may see a waterfall depending on the amount of rain prior to the race. You'll eventually reach a wide trail that was likely a road at one time, but the trail will turn sharply to the left and pass through large white pine surrounded by white pine saplings. As you descend, be careful because the trail abruptly comes to PA-44 and there will be heavy traffic on this road. Once you reach PA-44 turn right and follow the road until to reach the entrance to Ramsey Village on your left and Aid Station 2. Ramsey Village was named after Thomas Ramsey, one of the original settlers in the Pine Creek Valley. Ramsey served as Wagon Master for George Washington during the Revolutionary War. Mile 10.5-13.5 Once you leave Aid Station 2 you'll follow the Pine Creek Rail Trail for approximately 0.5 mile and cross Pine Creek on a historical railroad bridge. The railroad along Pine Creek was originally constructed to transport timber, coal, and later passengers. The rails made it a little easier on the boys working in the woods. The last train passed through in 1988. The course then turns right onto a blue blaze trail. This trail ascends past another rock quarry that was used to access flagstone. The blue trail continues to climb steeply until it reaches the yellow-blazed Tiadaghton Trail. The Tiadaghton trail continues to ascend in stages and you'll eventually reach another great vista where you can see up and down the Pine Creek Valley. The vista is on a rock outcrop less than 30 feet from the trail (definitely worth a hop and a skip from the main trail). The trail then continues to climb through oak forest and eventually becomes more rolling as you pass through a saddle on the ridge before ascending again. The trail eventually turns sharply to the left onto a grassy road that passes through an area that had burned in a forest fire and was later salvage-logged. Be careful through this area as it is known to have a high population of timber rattlesnakes. The course continues through this grassy corridor and eventually turns right onto a two-track road before reaching the gravel Bull Run Road. Take a left onto the road and shortly thereafter turn right across the pipeline and back into the forest. Mile 13.5-15.5 The trail meanders through a relatively flat stretch along the Tiadaghton Trail before dropping into Bull Run. The trail in Bull Run is rocky and footing can be tricky at times. As you descend you'll follow switchbacks that were constructed by the Jersey Shore Outdoor Club to improve the trail. Bull Run is an interesting place for anyone interested in wildflowers as it has quite the variety throughout the growing season. Stinging nettles are often dense along the trail too. Farther along the trail you'll continue along the stream. Keep an eye out for darting brook trout and listen for hermit thrushes as you head towards Pine Creek. Mile 15.5-17.8 As you approach Pine Creek the trail will switchback to an old road that will parallel Pine Creek. This section of trail is gently rolling and passes large rock outcrops lined with ferns, trilliums, and hemlocks on the uphill side and a steep drop-off to the creek on the other side. The trail continues straight until you reach a small white hunting camp. Continue straight on the double track past the hunting cabin until you reach PA-44. 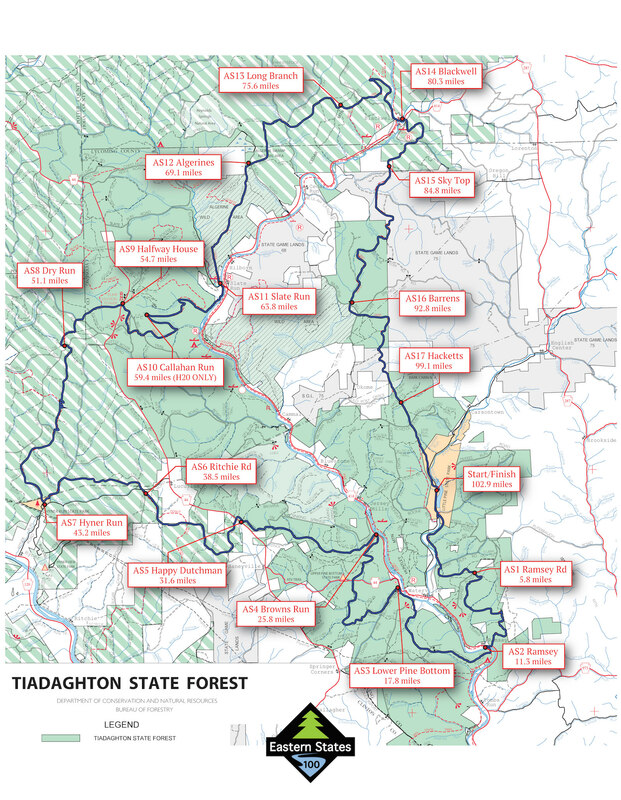 You'll hang a left on the main road briefly before heading up the paved road that leads to the Tiadaghton State Forest Resource Management Center and Aid Station 3. Mile 17.8 – 22.8 When you are done watching the model train run around the forest inside the State Forest Resource Center, continue down the parking lot past the aid station, head down path and then turn right up Lower Pine Bottom Road. After ¾ mile gently uphill on this little used gravel road, drop across the stream and up an old log slide trail known as Wolf Path. The trail was re-discovered in the last couple years and opened up just for your climbing pleasure at this event. At the top turn left on Middle Hill Road. Don’t expect any traffic, it is a gated road. In a very short distance you will turn right and run along two sides of a fenced in area. This is a Bigfoot pen. If you are lucky you may see one, but it is unlikely since hallucinations generally don’t occur until much later in the race. You will then turn right onto an old logging road which then turns into single track and drops into a branch of Ott Fork, then right again onto the old Ott Fork Road. From Middle Hill to the bottom of Ott Fork at Rt. 44 is one of the most runnable sections of the whole course. Run as fast as you can so you don’t have to make up time later. Mile 22.8 – 25.1 Cross Rt-44 on the bridge and head up Plantation Trail. Another ridge to cross. At the top bear right then left at the picnic table (what an odd place for one) and follow some ATV trails. The state Bureau of Forestry has designated this area as one that ATVs can tear up the trails to their heart’s content so hopefully they stay off the prettier trails we will be using for the rest of the course. You will likely see brown carsonite posts with the following numbers: 18, 19, 20, 27, 21, 15. They are your lottery numbers for Sunday night if you live through this thing so be sure to memorize them. At 15, head down Jack Martin Trail, a very fast runnable downhill with many waterbars to hotdog off the top of if you really go fast. At the bottom cross Browns Run and partake of the hospitality of Aid Station 4. Mile 25.1 – 31.6 Beautiful, remote single track along a pristine stream, gently uphill for the next 6.5 miles. Go ahead and run the whole thing. You know you want to. It’s not steep with only a few stream crossings. Run fast. Mile 31.6 – 38.5 After acting like a Happy Dutchman at the Happy Dutchman aid station (it’s really the name of the nearby camp), follow the historic Tidewater Pipeline – now a snowmobile trail - along Rt-44 for just a couple hundred yards, then cross the highway onto Sinking Springs Trail. The next 6 miles are on snowmobile trails. Wide, rolling, not too steep, probably the easiest part of the entire course. Eventually it turns into the orange-blazed Donut Hole Trail, but it is still snowmobile trail/driveway/road all the way to Ritchie Road. Run fast. 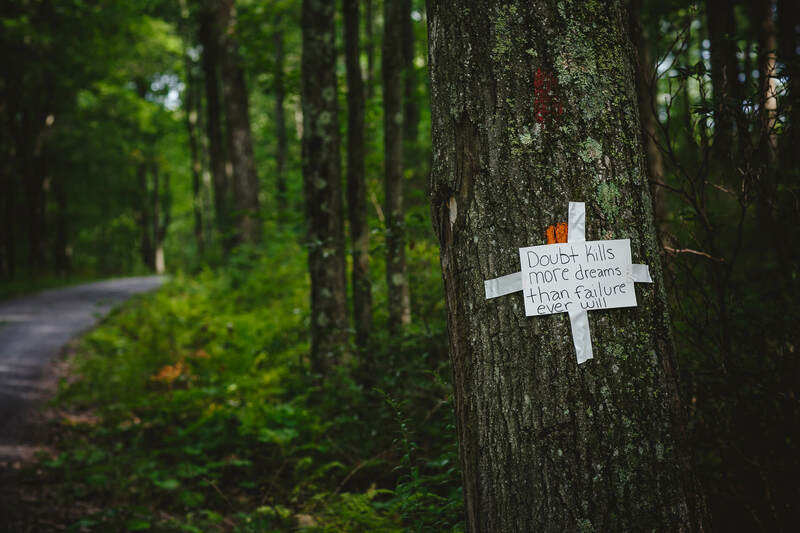 Mile 38.5 – 43.2 Cross Hyner Mountain Road on Donut Hole Trail, then bear left onto the powerline section. Wide, exposed, sunny, kind of like a desert run only humid. Run fast to get this mile (or two) behind you. Eventually turn right into Bear Pen Hollow, another one of our famous rocky hollows, which will bring you out to the gravel Hyner Run Road, which will take you downstream to Hyner Run State Park, a rare crew accessible, drop bag permissible, overnight parking permissible aid station. This is another very runnable section (except for the somewhat technical Bear Pen Hollow), so run fast. It’s all downhill. Mile 43.2 – 51.1 Another very easy section. How can there be so many of them? Start by continuing eastbound on the Donut Hole Trail on a section known as Long Fork Trail up Log Road Hollow Run. Feel free to give it a few more names. By now you may have figured out a “Run” is not a command or a daily pleasure jog, it is a stream, usually through a steep, rocky hollow where your pace will not likely be anywhere near a run. You will then turn right and stay on top of the Allegheny Plateau for the next several miles. Except when you are not on the plateau and are down in one of our famous hollows. See, this section you may be running along just fine on top of a ridge when all of a sudden you find yourself down in a small little - hollow – or valley – or mini chasm – or kind of like the earth just drops out from under you. Now some of the bigger ones, like Abes Fork and Cougar Hollow, may have switchbacks but others may not, you just kind of crawl up out of the other side. Eventually you make it to Dry Run Aid Station – or not. By the way, at the bottom of Cougar Hollow, you leave the orange blazed Donut Hole Trail and stay on the yellow-blazed T Squared Trail. Still follow our orange flagging and other reflective markings and signs. SPECIAL NOTE: The State Forest personnel erected a fence across the trail at about the 43 mile mark. There are man gates on the trail to allow you to enter and leave this fenced area. They are made with steel rods and wire. Use caution, it is very easy to receive a cut or smash a finger as you handle it, but go straight through both of them and don’t let the Bigfoots out. Mile 51.1 – 54.7 Shortly after leaving Dry Run Aid Station, come out to a camp and jog right a few yards on the road then back onto single track. A few rocks and a lot of mountain laurel later you drop (literally) into Baldwin Branch and pick up the orange-blazed Black Forest Trail. One of the most famous and challenging backpacking trails in Pennsylvania. Too bad you aren’t going to see the entire 42 miles of it. Make a point to come back for that. At this trail junction, climb steeply out of Baldwin Branch, then less steeply for nearly a mile out to Halfway House Aid Station. There is no house but it is slightly past the halfway point of the course. Mile 54.7 – 59.4 Be aware it is over 10 miles to the next fully stocked aid station. Some volunteers have offered to hike in some water at the halfway point of this stretch but that is all that will be available. Start with a short section of gravel road before turning right onto rolling single track through the mountain laurel. The next forestry road you come to go straight across into a camp driveway then left up the trail. You will eventually come out to another forestry road – Big Trail Road where there is a great vista if it is still daylight. Turn left on the road then right and descend Callahan Run. Partly very steep, partly rocky, partly a delight to run. At the forks where the three branches of Callahan Run meet, cross the stream on your left and head back up a new hollow, increasingly steep, mostly rocky, and partly way up on a narrow side hill to avoid blowdowns from a tornado that struck in May 2011. At the top, could that be a mirage? No, it actually is a couple nurses who hiked in some water for you. Mile 59.4 – 63.8 Leave the water station for a mostly rolling (with a couple very short steep pitches) run along the ridge top to the Hemlock Mountain Vista. If you ran fast enough to get there before dark that is. From there it is all downhill. Steeply at times, fun switchbacks at others. You will come out on an old logging road to take you gently downhill along Naval Run. Black Forest Trail will veer off to the left, but you go straight on Naval Run Trail to the next stream crossing, then out to Naval Run Road where you will run a nearly level mile on drivable gravel road along Pine Creek. Proceed to the right of the Hotel Manor driveway and go right around back to our aid station. The restaurant and bar closes at 9:30 pm so prior to that there will be customer traffic to watch out for. After that it should be just other runner’s crew traffic in and out of the parking lot. SPECIAL NOTE FOR PACERS: Please no overnight parking at the Hotel Manor. Leave your car the other side of Pine Creek in the recreation parking area along the rail trail. It is a short walk across the bridge. Mile 63.8 – 69.1 Cross the footbridge over Slate Run and immediately begin one of the Black Forest Trail’s famous climbs. You will pass through 3 rock quarries and 2 vistas before reaching the top where you will be back on single track through the mountain laurel. Eventually the Black Forest Trail will turn left, but you go straight onto the Algerine Trail, past the Algerines Gate to Aid Station 12. 69.1 – 75.6 After stretching your legs by running as fast as you can across the top of the plateau you come to…wait for it….another rocky hollow!! Quite possibly the longest and steepest and rockiest you have seen so far. If you haven’t started already, it is time to curse the idiot who told you to run so fast in the first half. At the bottom you cross at the intersection of Leetonia Road and Mine Hole Road and enter the Honagha Danju Ga Wisay Trail. I won’t give away what this Native American phrase really means. Only the hardiest of runners who make it this far will be able to read the sign and find out. The trail leads you up the twin of the rocky hollow you just came down and out to the Long Branch Aid Station. 75.6 – 80.3 Shortly after leaving the aid station you will turn left onto the orange-blazed West Rim Trail – one of the most popular hiking and backpacking trails in Pennsylvania. It follows the Pine Creek Gorge north for 30.5 miles. You will only be on a short section of it. Soon you will pass a small metal building with an alarming sign on it. Don’t be scared. It has been rendered safe. This is a very runnable level section if our fun little rocky hollows have left anything in your legs. 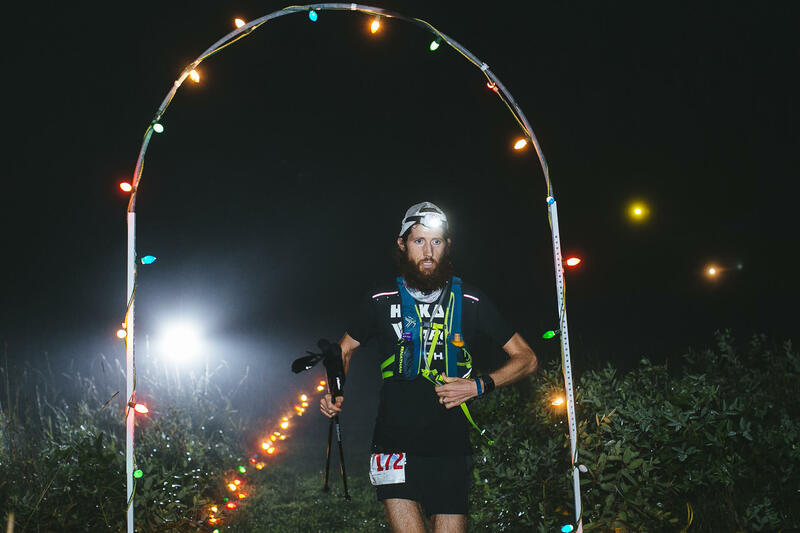 You will cross West Rim Road and make your way out to a vista where you may be able to see the lights of Blackwell and the next aid station way down in the valley. Run down a fun single track to a trail junction where you will switch back to your right and follow Bohen Run Trail to the bottom. Along the way you will cross at the top of Jerry Run Falls (too bad it is a dry time of year) and finish with a descent along the canyon wall on trail supported by timbers set into the side hill. Watch your step or you could make a big splash in Pine Creek. At the bottom, hop the guide rail and cross Pine Creek for the second time into the Blackwell Aid Station. SPECIAL NOTE: Although overnight parking is allowed, there are only 20 parking spots here. Please try to carpool pacers as much as possible. 80.3 – 84.8 When you leave the Blackwell Aid Station you will follow PA-414 east through the village, across the one lane bend-in-the-middle bridge over Babb Creek and turn right onto Big Run Road. In a hundred yards or so go straight onto the orange-blazed Mid State Trail and the fun climb to the top of Gillespie Point. This is a panoramic vista of Blackwell and the huge bend in Pine Creek. From there go down the back side of Gillespie Point, jog left a short distance on Big Run Road then drop off the bank to your right. 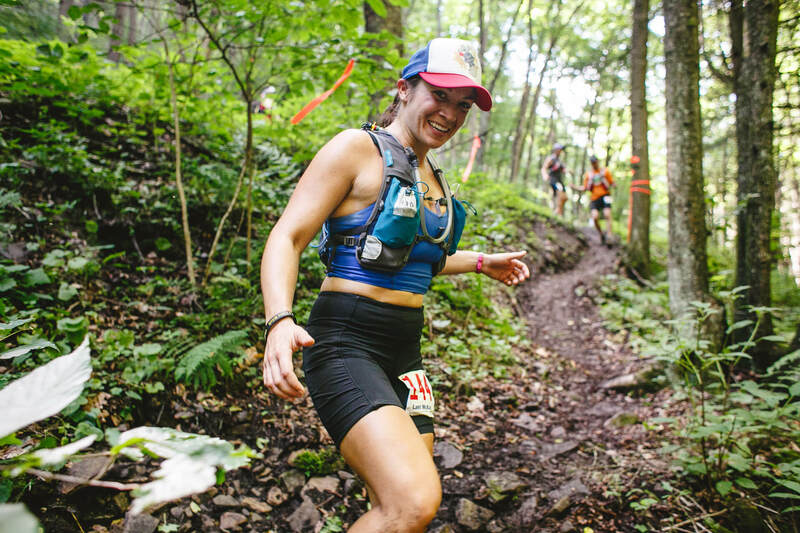 Cross streams a few times and make your way up to SkyTop Aid Station. This is a private hunting club that is determined to have the best aid station in all of ultrarunning. I feel sorry for all the runners who will not make it this far. Fuel up good because it is the longest stretch between aid stations coming up. 84.8 – 92.8 Continue on the Mid State Trail on alternating single track, grassy State Game Land management roads, another rocky hollow, past the 1918 Browns Fork log cabin, up to the crest of Oregon Hill and a vista looking back at Gillespie Point, multiple stream crossings, and eventually out to the Barrens Aid Station. This is our most remote station. We have to pack a lunch to even drive in or out of there. 92.8 – 99.1 Can you smell the barn yet? A pretty combination of management roads, old railroad grades, stream crossings, and several differently managed areas. 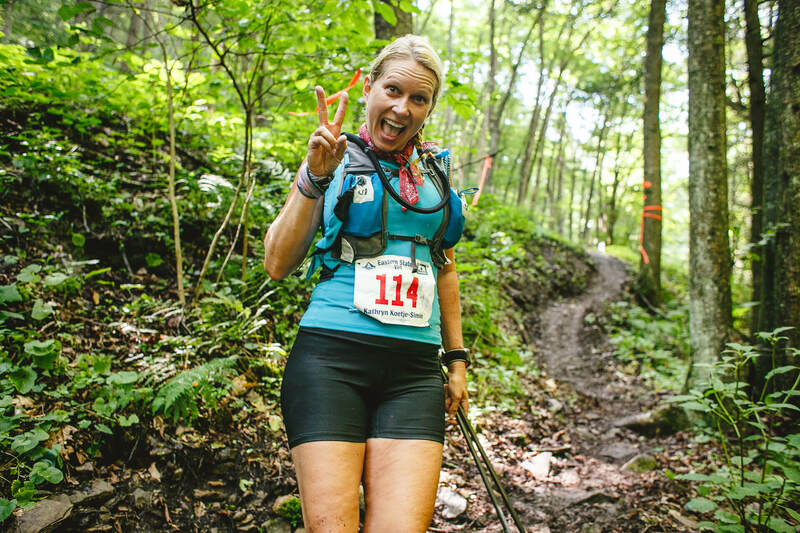 You will cross Wolf Run Wild Area, State Game Land 75, Tiadaghton State Forest, and Bark Cabin Natural Area before arriving at our last aid station at Hacketts Fork. Everyone who makes it this far will be a superhero and you will be greeted appropriately. 99.1 – 102.9 FINISH Cross the road and drop to your right to cross the stream, then follow Hacketts Fork upstream before climbing to Schoolhouse Hollow Road. Could this really be the last climb? Except for the fact that most of our downs have a little up in them, it is the last real climb. Turn right at the first junction of Panther Run Trail to stay on the Mid State Trail. Meander out past Monument Rock and at the next junction of Panther Run, stay straight as the Mid State turns right. Nice vista at top of old quarry. Drop to your left off this vista and pay particular attention at the bottom of this short rock scramble. Rattlesnakes are nearly always seen just off the trail to your right. Don’t disturb them and they will leave you alone as well. The next mile is a gorgeous ridgeline descent with many rock outcroppings. You will finally drop steeply down to Little Pine Creek Road where you will jog right a few feet and into the parking lot for a grand finish right where you started from. Run fast across the line if you can. Congratulations! 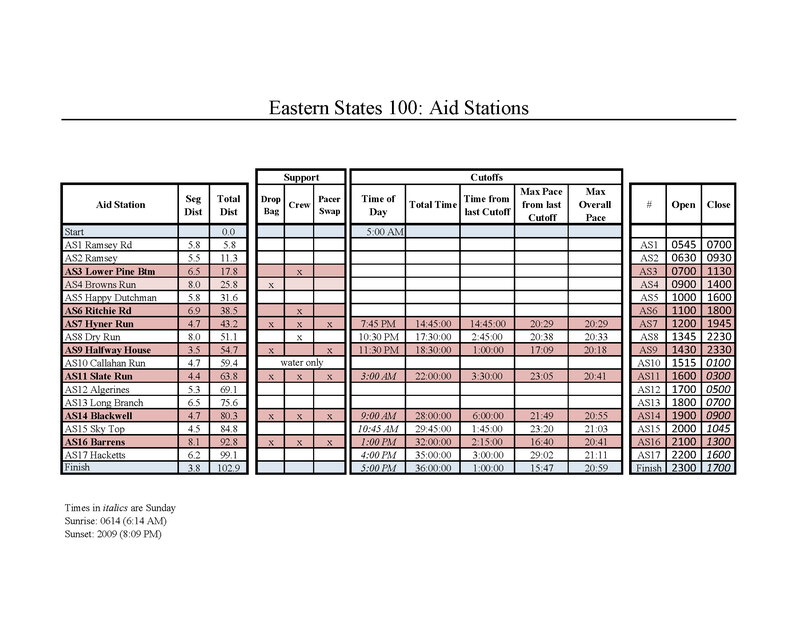 You have completed the Eastern States 100!